The Martial Arts Industry Association exists to help grow martial arts participation by helping school owners succeed. Many school owners are never exposed to the foundational business concepts necessary to run and grow a successful business. At MAIA, we can help fill that need, as we are made up of school owners who have walked in your shoes, know your struggles, and can help with strategies to elevate you from novice to a "blackbelt in business". A poll was created in the Century Martial Arts School Network about teaching 3 to 6-year olds martial arts. Here are my reactions to that poll and some pointers for making your early age program better. Something interesting happened last week. A poll was created in the Century Martial Arts School Network. PreSKILLZ is an innovative way to effectively teach 3- to 6-year-olds. At the same time, it enhances what every martial art school owner covets — increased enrollment and revitalized retention! Veteran black belt Melody Shuman bridges the gap of teaching preschoolers by showing that every three- to six-year old can learn valuable martial art skills, if taught the proper way. Additionally, every school owner can increase enrollment and improve retention by using these teaching methods. Shuman spent many of her years in martial arts as an instructor. At 19 years old, she began working as a program director and instructor in Orlando, Florida. For six years, she co-owned and operated four schools in south Florida. During that time, she won the title of World Champion in forms and coached many young world champions ages seven and up. Most schools do not have a standard procedure for teaching a drill to 3-to-6 year olds. However, that consistency with the instructors is important to parents when they decide if they want to invest in your program. That’s why Melody Shuman (creator of PreSKILLZ) explains the 7 steps for teaching a drill so everyone is on the same page and adding to the environment you’re trying to create. Watch the video above and implement the 7 steps with your team today. 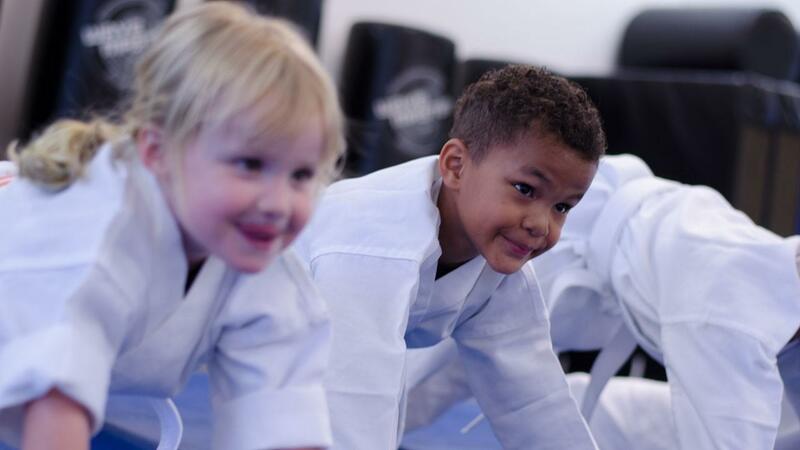 Do you want the guide for teaching 3-6 year olds martial arts? Learn the 7 tried-and-true principles for getting the most out of your kids martial arts classes. 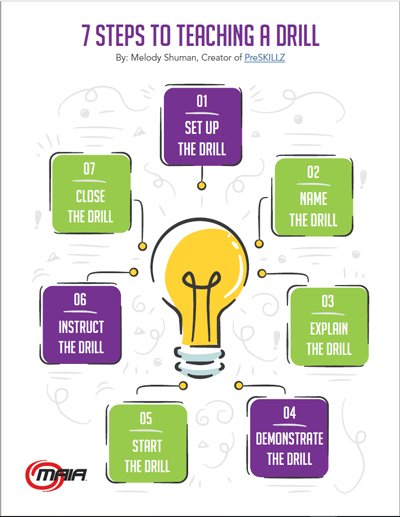 Download the 7 Steps to Teaching a Drill today. Yes, Send Me To The Download! Fill in your information below and we'll get started on a growth plan for your school.